My husband uses Windows computers (oh, the shame! ), but for his purposes it’s fine. His computing knowledge is limited to Fantasy Football and online poker. Hubby was using a very old desktop computer that finally bit the dust this past fall. Rather than buy another computer, I let him use my HP Vista laptop. “You have a Windows computer?” I hear you all saying right about now. Let me give you a brief history of why I have one: I went back to college in August of 2007. Even though the college is six miles away, I chose to take my classes online. This meant I needed to log on to the college servers for some of my classes. Since they are a Windows-based school, it was just easier to buy a Windows computer. Back to the story. I used my laptop only during school, and just for school. No iTunes, no photos, just school work. The computer was shut down between semesters. I graduated in May, 2009, and kept the computer off until October 2009, when hubby needed it. But our story takes a nasty turn. My WIndows laptop died in early December. Battery and hard drive were fine; it was probably something with the motherboard. HP wanted to charge me $259 to fix it – and they thought they were doing me a favor! No way! Hubby was despondent. He needed a computer. I did not want to spend money on Windows. But alas, being tired of watching Hubby mope around the house, I researched cheap laptops and found one at Best Buy. I bought it and spent an entire afternoon getting it set up. 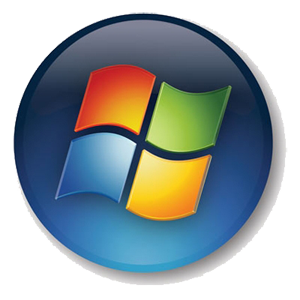 Windows computers do not come with reinstall discs. Not even an operating system disc. So I burned back up DVD’s: six in all, before I could do anything else. Then I went on AOL and downloaded the free McAfee Security Center for virus protection. At dinnertime I was still adding and deleting programs, and figuring out Windows 7. Bottom line: Hubby is once again a happy camper, and I won’t be swearing as much if I need to use the laptop. Windows 7 is much improved over Vista, but it will never make me give up my beloved MacBook.